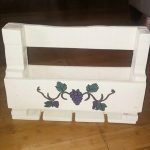 Since the time pallet wood has get an acknowledged spot, it has turn into a small thriving business and it would not take long get a world wide established wood industry with its durable power and the ability to be recycled again and again. 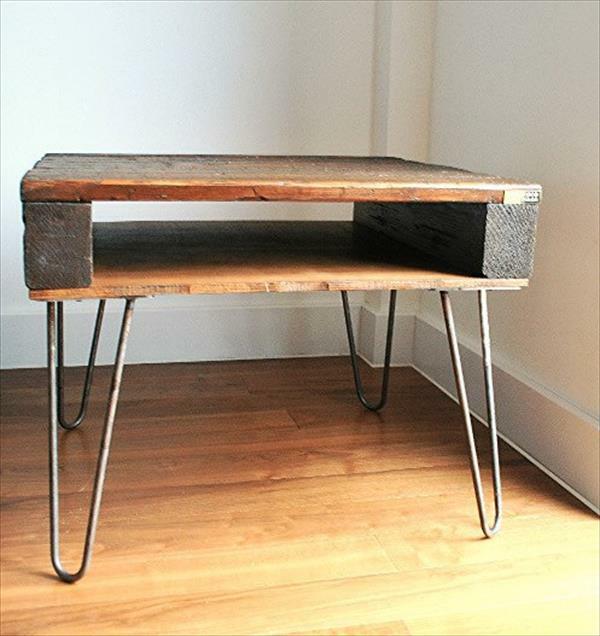 Seeking advantage from its wonderful qualities, DIY makes amazing range of handmade tables for you to get inspired from and to owe them with your own hands. 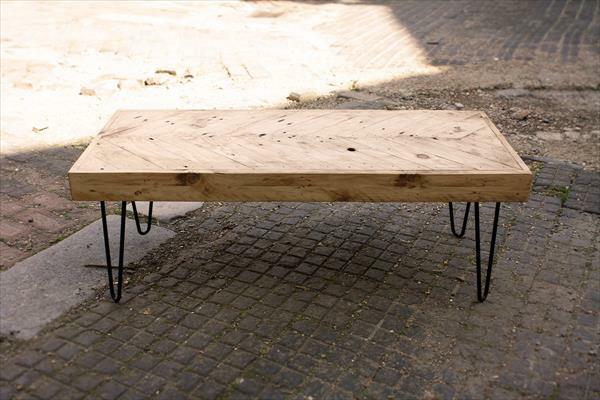 This DIY pallet handmade industrial coffee table is also the bespoke piece of hand work, which has been contrived from the pallet boards for a long and strong table top. 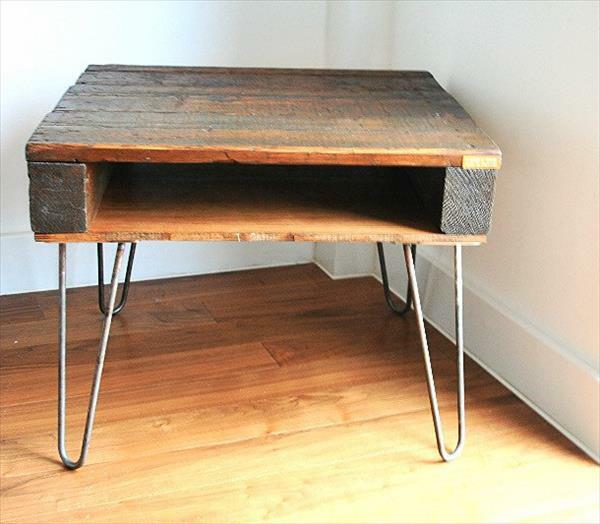 Herringbone pattern has been carved on the table top to make a unique and stand out piece with a firm support from the hairpin steel legs for an industrial feature. After a down smooth sanding, the table is bestowed with a brownish wax for a protection from the splinters to your center piece. So get one for your living area today for a classy servitude to you and your honorable guests.